The perfect lightweight summer layer has arrived! 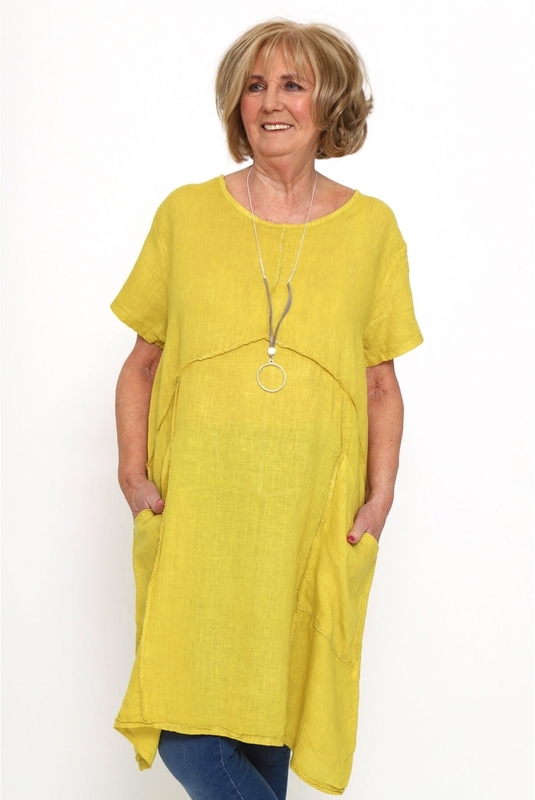 The Made in Italy St Mabyn Linen Pocket Tunic Dress features a classic round neckline, short sleeves and two pockets to the front. Our favourite feature has to be the trendy exposed stitching, finished with lurex edge detailing. Simply wear this style alone or layer over crisp whites and sandals for the ultimate summer look!